October is jammed packed with concerts at various venues around town. Let Metro get you to the best seat in the house. 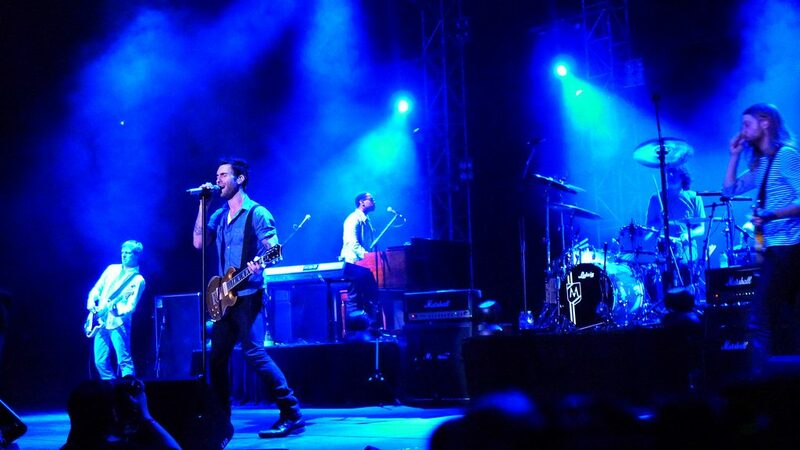 Pop rock band Maroon 5 will start the month off on the right note by stopping by the Scottrade Center tonight. In the Delmar Loop, The Pageant is humming with various musical acts coming through its doors this month. First, Corinne Bailey Rae and Andra Day join forces to perform tomorrow (Oct. 4). On Friday, English singer-songwriter and guitarist James Bay performs to a sold out show. Boyce Avenue, who gained fame on YouTube, will perform on Oct. 8 with an opening act by YouTuber Leeroy Sanchez. American hip hop duo Rae Sremmurd will perform the following week on Oct. 10, followed by Swedish extreme metal band Meshuggah on Oct. 12 and Canadian electronic music duo Zeds Dead on Oct. 15. The music goes into full gear at The Pageant starting on Oct. 22 with a performance by Tegan and Sara, a Grammy-nominated Canadian indie pop duo. American rapper Mac Miller will perform on Oct. 23, followed by Charlie Puth on Oct. 24, hip hop recording artist Schoolboy Q on Oct. 25 andGreen Day on Oct. 26. American jam band Umphrey’s McGee will perform on Oct. 30 and South African-born Australian singer Troye Sivan will bring October to a close with a performance on Oct. 31. Back downtown, enjoy an evening with Cedric The Entertainer and Friends as well as Smokey Robinson on Oct. 22 at the Peabody Opera House. Avoid traffic jams and the hassles of finding (and paying for) parking by taking Metro. Leave your vehicle at any one of 21 free Metro Park-Ride lots in Missouri and Illinois and ride MetroLink to the Civic Center MetroLink Station (just steps from the Peabody Opera House and Scottrade Center), to the Delmar Loop MetroLink Station (near The Pageant), or to the Convention Center MetroLink Station (near the Dome at America’s Center). You can also hop on MetroBus to get downtown or to the Delmar Loop. Ride on one of 18 MetroBus routes to the Union Station MetroLink Station, located just west of the Scottrade Center and the Peabody Opera House, and the #99 Downtown Trolley and #40 Broadway both have stops near the Dome at America’s Center. You can reach the Delmar Loop MetroLink Station on any of five MetroBus routes. Ready to let Metro do the driving to your next big concert? Plan your trip on public transit by downloading the Metro On The Go app to your mobile device, or use our handy Trip Planner.